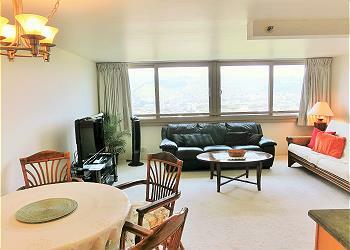 You will love this "Old Hawaiian Style" room! 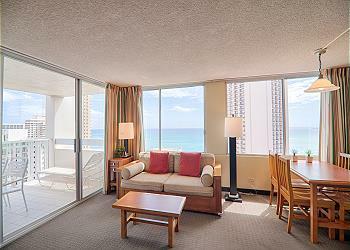 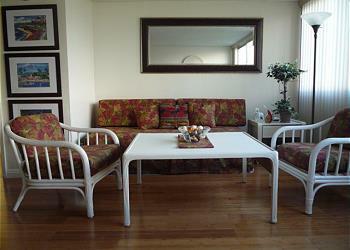 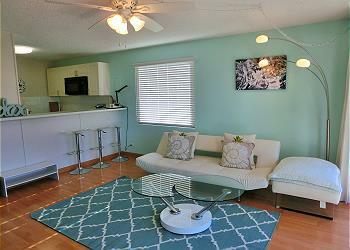 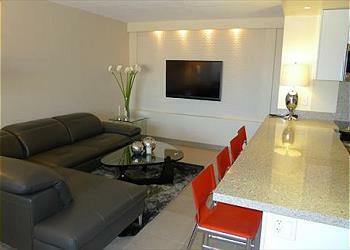 This one bedroom is furnished with island themed decor with nice comfortable furniture. 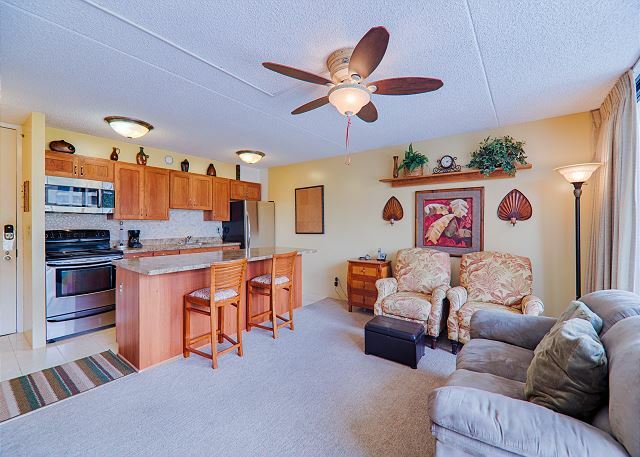 Lets enjoy cooking at fully equipped kitchen and counter table or relax watching movies with flat screen TV. 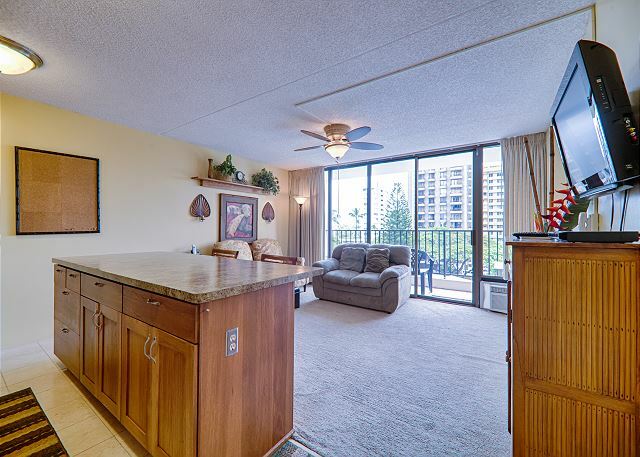 Lanai has pleasant mountain view with breeze of trade winds. 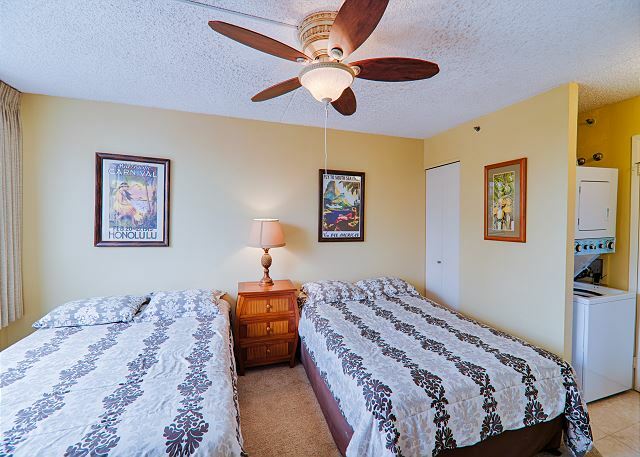 There are sliding door between living room and bed room, bedroom has two full size beds. 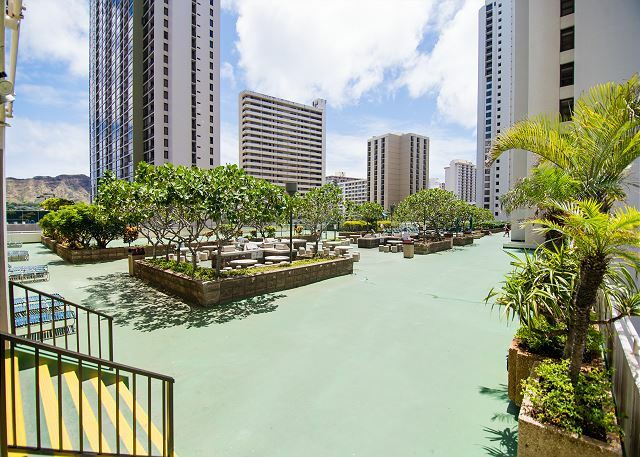 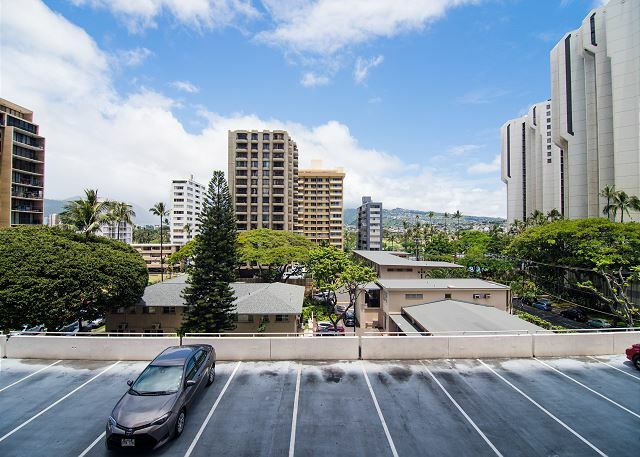 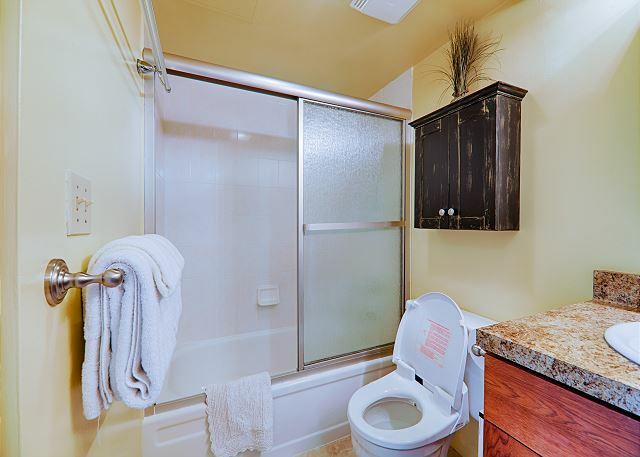 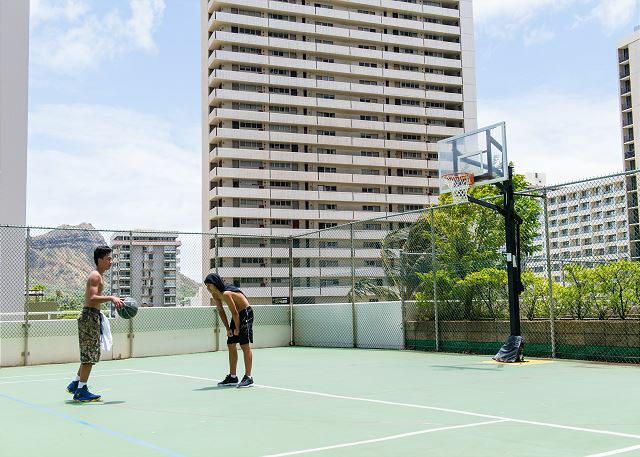 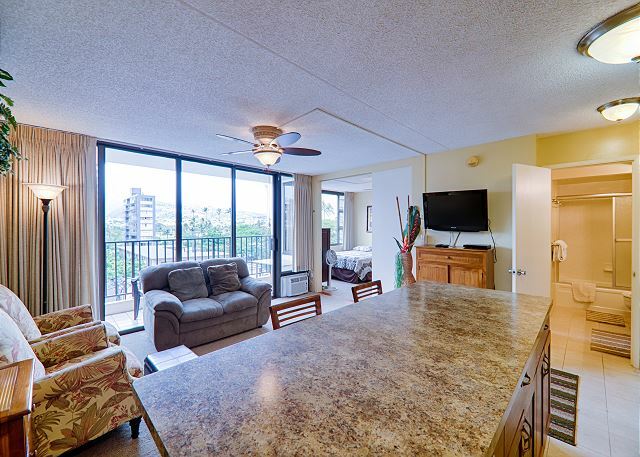 Washer and Dryer is in this unit for guest convenience, which is rare unit for Waikiki Banyan. 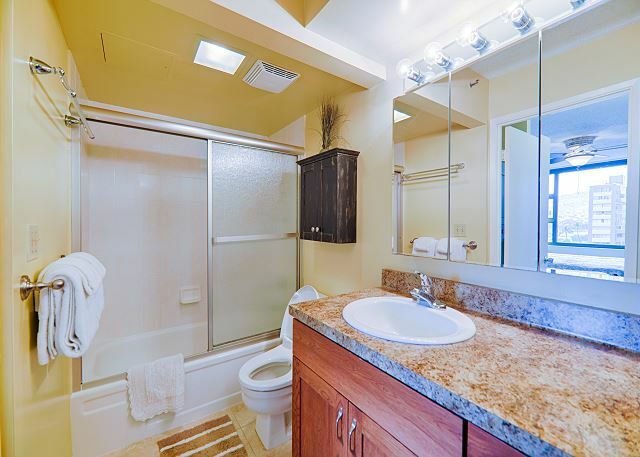 Coin operated laundry room is located in each floor.